The gem of a work presented to us by Jagath Acharyar Swamy Ramanujar is ” SRI BHASHYA”. The illustrious Sri Vaishnava preceptor Swamy Alavandar wanted Swamy Ramanujacharya to take over spiritual leadership of the Sri Vaishnava community. Swamy Ramanuja set off to meet Alavandar as per the instructions , but before the meeting could materialize, Swamy Alavandar departed from this world. Swamy Ramanuja was sad for the sudden turn of events . He noticed that three of Swamy Alavandar’s fingers remained folded. Swamy Ramanuja asked the Elders assembled there why was it so. They replied that Swamy Alavandar had three unfulfilled wishes. On inquiring further it was revealed that the great Acharyar Alavandar wanted to write a commentary for Brahmasutra, but he could not get round to doing it because of his busy occupations . Hence the first folded finger indicated this unfulfilled desire. Secondly, he wanted to do something to honor the contributions of the revered sages Vyasa and Parasara and thirdly, he wanted to write a commentary on Nammazhvar’s Thiruvaimozhi. Swamy Ramanuja instantaneously promised to carry out all the three wishes unfulfilled by Swamy Alavandar. Miraculously , all the fingers restored its normal course . Swamy Ramanuja’s Brahmasutras is glorified as Sri Bhashyam. Ramanuja named his disciple Kooratazhvan’s sons Parasara Bhattar and Vedavyasa Bhattar, thus the second wish of Alavandar was fulfilled. Upon the command of Swamy Ramanuja, his disciple Sri Kurukesa (Pillan) wrote a commentary for Thiruvaimozhi. Thus Swamy Ramanuja ensured that all of Acharyar Alavandar’s three wishes were fulfilled. The efforts made by Swamy Ramanuja to take up the important task of his Acharyar must be cherished by every vaishnava . The comprehensive commentary of this outstanding work was given the name Srutha Prakashika. The great devotee of Lord Varadarajar of Kancheepuram ” Swamy Nadaadhoor Ammal wrote a book with all the understandings gained from the Elders in the form of arguments answers and counter arguments about the great work Sri Bhashya. This work was called as PRAMEYAMALA . He continued his writing with monumental works like Tatwa sara and Prapanna Parijata. Swamy was respected as the most authoritative commentator on Sri Bhashya and several disciples used to approach him for learning the esoteric truths . A great devotee and an obedient disciple Sudarshana suri was keen to meet the Acharyar for the same . He traveled to Kancheepuram after taking permission from his aged mother . Always attentive and serving his Acharyar Ammal he was learning the rich truths from the commentaries daily. He was always there to attend the class , no matter even If he had already attended the same .That was his interest . He was always in the mood of being near to his Acharyar serving him . One day it so happened all the disciples were awaiting for the class to begun . Acharyar also had come . But he was waiting for Sudarshana arrival . The disciples were upset for the special care given to Sudarshana The disciples expressed their unhappiness for the special care given to Sudarshana as they found him to be a dull witted person attending the same classes repeatedly without any knowledge. The next day Ammal conducted the class as usual . 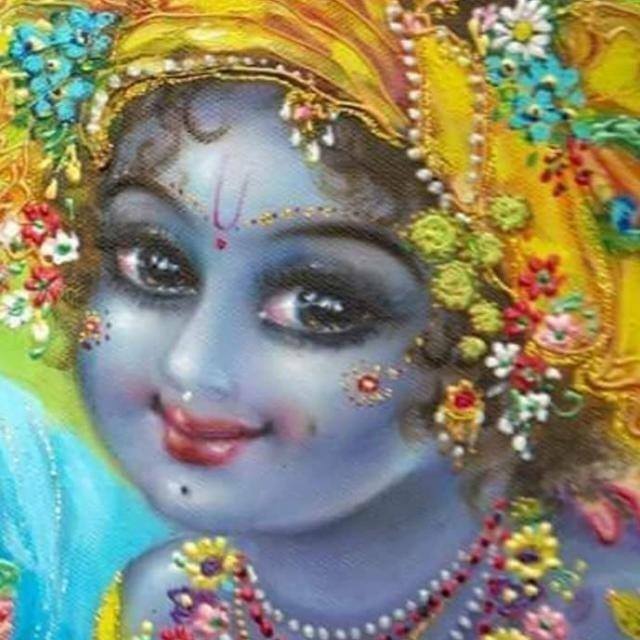 He paused at a verse … and looked at Sudarshana and said ……..
My Child ! Please repeat what was explained about this verse . Sudarshana bhattar obediently got up and with folded hands replied ..
Acharya … Please command me !!! Which adhikarna ? This verse was given wonderful explanations in every discourse .Please tell me which explanation are you seeking ? The first class OR the last class ? The disciples were dumb folded . Ammal continued . My child ! Please tell me both of them ..
Sudarshana explanations was a continuous flawless flow of words that mesmerized all the disciples .He was simply excellent in reproducing the content as explained by his Master ..
Acharyar praised him for his comprehension diction and dedication . All the disciples rushed towards Sudarshana and requested him to elucidate all the meanings . This treasure is considered as a full mail of diamonds for Sri Bhashya like a kavacham ( shield ) This great commentary has provided answers to various onslaughts made on it in the form of questions and the doubts raised by people with limited vision .Because of this lovely work Sri Bhashya withstood firmly the many arguments and counter arguments of mayavadis . Once this wonderful work was completed Sudarshana seeking blessings of Acharyar returned to Srirangam . He was shocked to see the tyranny of Ulugh Khan the Moslem rulers . There was chaos everywhere . The tyrants were pulling down the towers of the mandapams .The people were living in deep fear .The palm leaf manuscripts stored in the houses of advanced srivaishnavas were being burnt . Many elders lost their lives saving the treasures of commentaries . 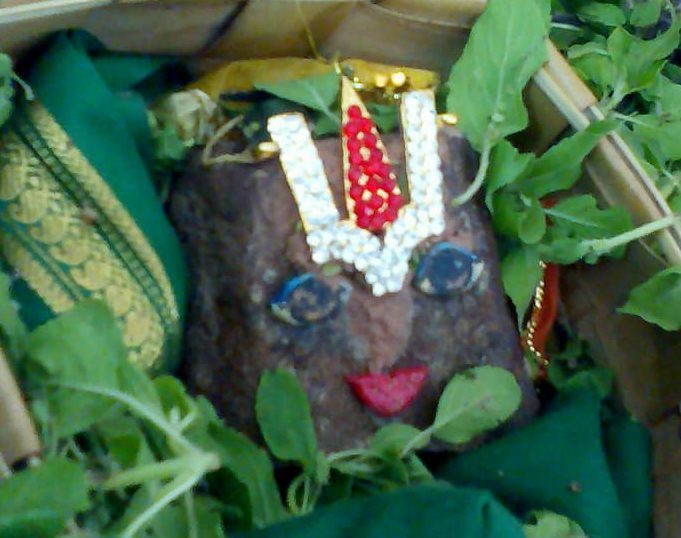 Sudarshana was sad . He carried the manuscripts to his aged mother and pleaded her to save this jewel which was his life breath . He approached the elders to contribute his services in protecting the LORD .. The young Swamy Desikar , Swamy Sudarshana and other Acharyas assembled , and met Swamy Pillai Lokacharyar inside the Srirangam temple .They all concluded it was Ulugh Khan the army commander sent by Tuglak who was creating this tyranny to loot the temple . They had to take a quick decision . All of them informed the temple priests for staying beside the deities at all cost , and gave some important tasks to be completed without any delay . .Swamy Lokacharyar called the Chieftain and the Elders of the temple and advised them what could be the steps that may have to take facing the invader inside the temple .The objective was not to confront the enemy but to focus their efforts to ensure that the moola virat was not desecrated. All of them decided that they shall form three groups . One group shall be headed by the eldest Swamy Pillai Lokachariya, who shall carry the deities of Lord Ranganatha and His concerts in a covered palanquin and proceed southward with few disciples . Sudarshana who had just arrived took up the task of erecting a stone wall in front of the main sanctorum to misguide the invaders . Thus a stone wall was constructed with support of many disciples in a short time . 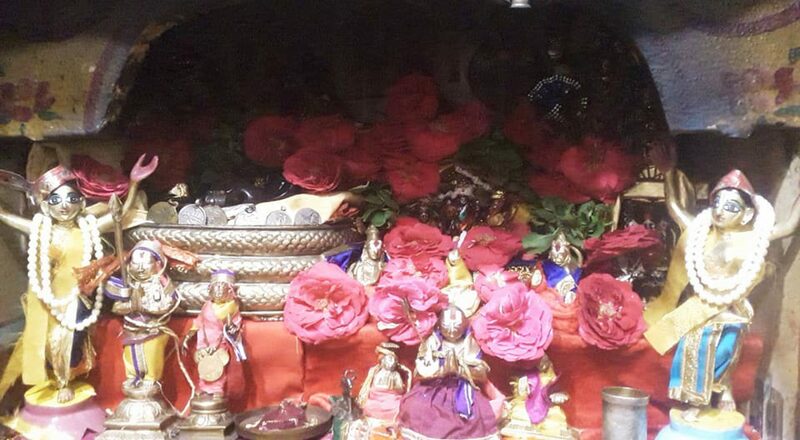 The third team was to provide cover for the team lead by Swamy Pillai Lokachariya [the team with the deities of our lord and his consorts so that swami had enough time to maintain safe distance from the enemy. Swami Desika who was the youngest among the Acharyas was requested by Shri Sudarsana to go with the third party and somehow save himself so that he at least might be left to propound Sri Vaishnavism and the teachings of Jagatha Acharya Shri Ramanuja. There was not much time left . Sudharsana entrusted his two young sons and manuscript “Sruta prakaasikA” to Swami Desika asking him to save this treasure for future generations Swami Desika earnestly prayed LORD that this great work must at any cost be saved . Swami as instructed immediately took up the directions from Sudharsana Suri and was about to leave towards northward with the little boys . At the temple town , all of them decided in one voice that they will not oppose the army , but behave as if nothing is so serious .. There was a regular update about the Invaders who were approaching . The people were in two moods whether they should remain in town or flee. Who was to decide and advise them? The people were utterly confused .They decided to take counsel from Lord Ranganatha himself then decided to appeal to the LORD Himself . They all dropped chits (Tiru Ulla seettu) expressing their opinion and with devotion they drew up one chit which said that all could remain at Srirangam itself. They decided in was the Lord’s order and remained facing the situation bravely.The same evening, the invaders marched inside the Srirangam town from Samayavaram . Thousands of the town’s citizens were harassed and injured .The terror in which the enemy looted the prosperous town speaks about the bravery of the srivaishnavas there . It was a very sad plight and the bloodbath that followed who resisted will make one cry for our great forefathers who sacrificed their lives . This had been recorded in the History of Srirangam Temple known as Koil-Ozhugu . The sad bloodshed of 12,000 Sri Vaishnavas at Sri Varahaswamy Sannidhi makes it the worst day in the temple town . Inside the Hall , Swamy Desikar saw heaps of corpses lying around . He somehow braved the boys to lie down unnoticed to give an impression that no one survived . The little boys stretched underneath along with some of them and our dear Swami also lay down next to them along with the holy book. Swamy Desikar thus concealed the two boys and himself amidst a heap of corpses and passed the night with caution . The enemy troops assumed that they were corpses and did not bother to probe. Observing the enemy troops moving away , Swamy Desikar slowly took the frightened boys before dawn unnoticed in North-Westerly direction . He suddenly saw some gaurds chasing them. He managed to hide near the mud rocks at the banks of river kaveri. With caution , hiding the young boys beneath the mud rocks he dug one yard deep pit in the sands of the river and buried the great work giving mother kaveri a rare tribute . He somehow managed to lay down covering himself with the kaveri sand escaping any detection . When the gaurds moved he regained his position and quickly moved away to Satyamangala with the treasure book and the small kids . He made few copies of the manuscripts and taught the contents to all his disciples . Our Poorvacharyas have struggled to give us this treasure and hence It is the bounden duty of every vaishnava to proudly say….. I am Ramanuja dasan … and thus protect /propogate the works of our Poorvacharyars and our sampradaya ..saying . Adapted from a discourse shared by an advanced devotee .